Did you know that ALL employers in New York State are required to provide all current and new employees with sexual harassment prevention training? We understand how overwhelming the new sexual harassment prevention regulations can be. We want to help with the mandate to deliver sexual harassment training to your managers & staff by the October 2019 deadline. 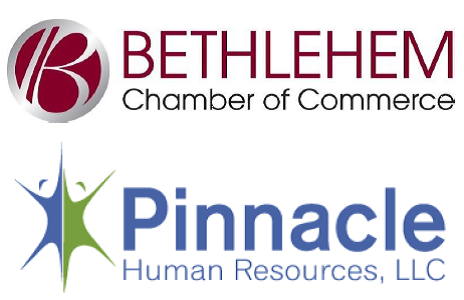 Pinnacle Human Resources, LLC has partnered with the Bethlehem Chamber to offer cost-effective and comprehensive harassment prevention programs. The program is designed to train all employees during the first hour, with a special supervisory session at the end. Allocate 2 hours for this training. Online registration is REQUIRED - no walk-ins. Online registration REQUIRED - no walk-ins.